Can’t stop Jah Works!!! They can try, but they won’t succeed. I&I move forward this week with another blissing of word, sound and power featuring artists like Dean Fraser, Morgan Heritage, Exco Levi and Mykal Rose, Niyorah, Carlton Livingston, Culture, Ed Robinson, Luciano, Freddie McGregor, Sanchez, Buju Banton, Beres Hammond, Ken Boothe and Delroy Wilson, Dennis Brown, Maxi Priest, Tarrus Riley, 10 Foot Ganja Plant, Ras Shiloh, Chezidek, Colah Colah and Luciano, Colah Colah and Derrick Parker, Gappy Ranks, Papa Michigan, Jahdan Blakkamoore, Collie Buddz, Sizzla, Dr. Silk Asara, Reya Sunshine, Jah Bless, KGenius, Bugle, Pressure, Marcia Griffiths and Annette Brissette, Aotearoa Reggae All Stars, Etana and Bob Marley and The Wailers. 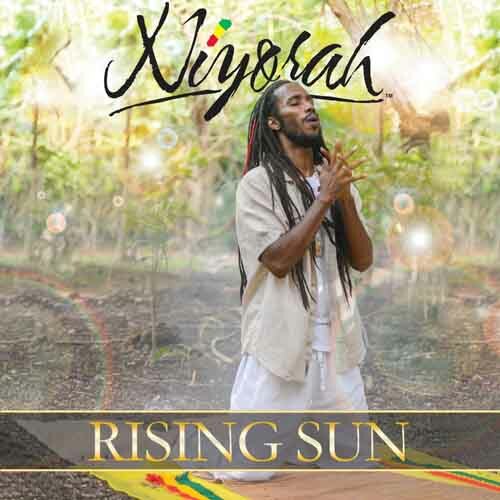 This entry was posted on April 29, 2015 at 12:59 am and is filed under Downloads, Podcasts, Radio Shows with tags Africa Reggae Podcast, Africa Reggae Radio, Bob Marley Radio, Delroy Wilson Radio Podcast, Dennis Brown Radio, gospel reggae podcast, gospel reggae radio, Morgan Heritage 2015 radio, Niyorah Rising Sun Radio, Rasta Podcast, Rasta Radio, Rastafari Podcast, Rastafari Radio, Reggae Podcast, Rocksteady Reggae Radio. You can follow any responses to this entry through the RSS 2.0 feed. You can leave a response, or trackback from your own site.